A: I was told by Hampshire College Security that you can park on campus near the rec center. Bike across the street and follow the trails in. Stick left to head up hill. The trail loops around and brings you right back to where you started. There is a nice little reservoir at the end too. Review: First time here. Luckily found a local to guide me. Shout out to Carl. Trails are a nice mix of up and down with nothing that is too crazy. Easy to get lost if you're not familiar. Review: New to trail riding, but been here three times and love it. 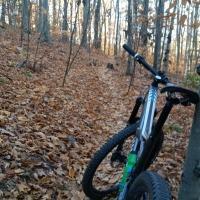 Well maintained trails with good flow and some challenges. Great workout! Review: These trails are a ton of fun. Great flow, some longer climbs and a few screaming descents. These are not the most technical trails in the area but that adds to the appeal. Go here if you want to ride fast, and most importantly keep riding. The only thing limiting you here is your fitness. Review: The best flow in western ma. It has great climbs and fast descents. Many people ride here. Review: Earl's trails are located on the north face of the Holyoke Range, bounded on the west by Mount Holyoke and J. A. Skinner State Park, on the north by Chmura and Bay Roads, east by Route 116 and to the south by the ridge-line. 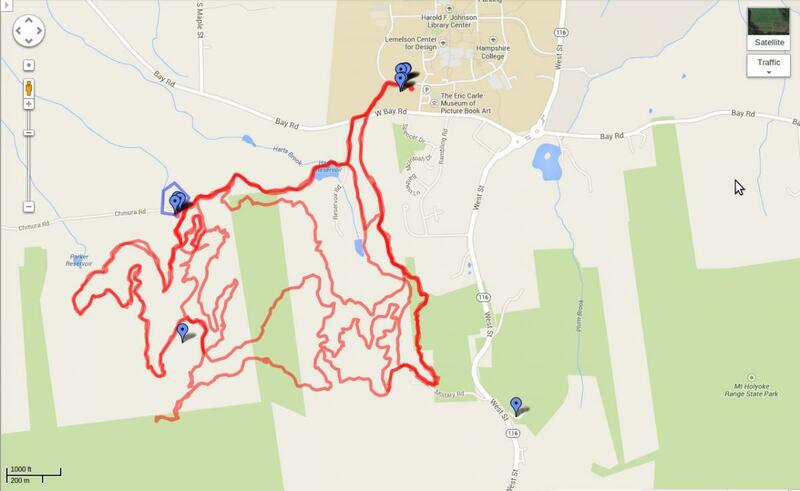 The map from Frankenstein above includes all the boundary trails. Although it is easy to get somewhat lost within the trail system (there are more trails than the map shows), the only ways to get really lost would be if you took one of the 2 or 3 hiking trails (not singletrack) to the south or one to the west that leads to Skinners. If you stick to singletrack you shouldn't go far wrong. Surprising for the near absence of rocks, technicalities and other people (plenty of roots though), this is a well designed and well maintained layout... fast and flowy with plenty of climbing and sweet descents. Hard-tail friendly. Most trails are good in both directions. Never needing to get off your bike means a very efficient workout and it's easy to design rides of any length. I park at the end of Chmura and since that's lower than 90% of the trail system I can get back to my car in 15 minutes or less from anywhere, yet I could easily put together 3 or 4 hours of riding with little or no repetition. One star off for the lack of technical bits. Similar Trail: Unique in my experience. Review: I agree....surpisingly fun trails. Will definitely hit it again when I do my I91 VT-CT trips. Review: Excellent smooth single-track with well-thought-out contours. Fun, with a moderate amount of climbing. Park at the visitors center and then cross the street to pick up the trail - note that the bike trail starts at the same spot as the hiker-only trail but heads off to the right immediately. Review: Last time I was there October 7th or so. All the trails were covered in very pretty yellow leafs. However it Made it difficult to navigate. Be careful. Earl's Trails MTB Trail 4.50 out of 5 based on 14 ratings. 14 user reviews.